Oro Valley, Arizona – Pearl Peak, LLC of Whitefish, Michigan (Nicholas R. Chickering) closed on a triple net investment property at 7510 N Oracle Road, Ste 100, in Oro Valley, Arizona for $2.2 Million ($360 PSF). The 6,008-square-foot office condominium, built in 2009 of masonry construction, is located in Oracle Medical Plaza Condominiums and sold fully leased to TMCOne. 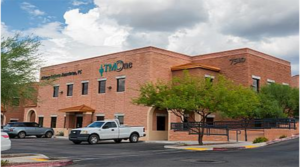 Tucson Medical Center One Medical Group is a group practice with 16 locations. Currently, Tucson Medical Center One Medical Group’s 59 physicians cover 14 specialty areas of medicine. The following specialties and service are available at this Oracle location: Internal Medicine (same-day access), Gynecology, Wound care, Sports medicine, and X-ray imaging. Tom Nieman with Cushman & Wakefield | Picor represented the seller, CCSAM Revocable Trust of Tucson while Rick Kleiner also with Cushman & Wakefield | Picor represented the buyer. For more information, Kleiner and Nieman can be reached at 520.748.7100. To learn more, see RED Comp #6091.